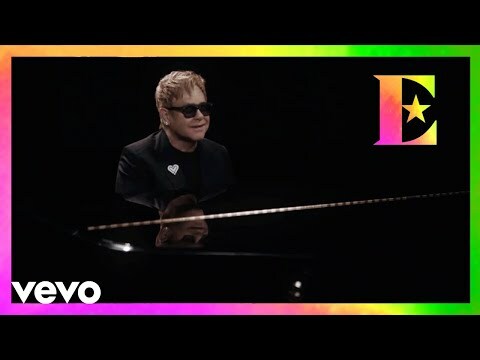 For the first time in 11 years, Elton John appears in his own music video with his heart on his sleeve. The uplifting video, directed by Black Dog’s Daniel Kragh-Jacobsen, features Elton on his trademark grand piano and many interweaving stories of love. From young, explosive, biracial lovers, to a lesbian couple working through intimacy issues, to an older couple coming to terms with the ailments of aging- the idea of universal love radiates from each scene. Complete with a “Love Bravery” heart pin on his lapel, and a soothing melody that will ring in your head for days, Elton’s iconic presence reminds us that love can conquer all. Watch Daniel Kragh-Jacobsen’s video for Elton’s “A Good Heart” above now!